JAKARTA, INDONESIA - Media OutReach -February 12, 2019 -PT Chubb General Insurance Indonesia (Chubb) announced today the appointment of Budi Tatawidjaja to the role of Compliance Director. He will join Chubb's Board of Directors and report to Tai-Kuan Ly, Chubb's Country President. With operations in 54 countries and territories, Chubb provides commercial and personal property and casualty insurance, personal accident and supplemental health insurance, reinsurance and life insurance to a diverse group of clients. As an underwriting company, we assess, assume and manage risk with insight and discipline. We service and pay our claims fairly. The company is also defined by its extensive product and service offerings, broad distribution capabilities, exceptional financial strength and local operations globally. Parent company Chubb Limited is listed on the New York Stock Exchange (NYSE: CB) and is a component of the S & P 500 index. 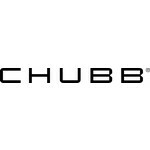 Chubb maintains executive offices in Zurich, New York, London and other locations, and employs approximately 31,000 people worldwide. More information can be found at www.chubb.com/id .